We have just launched a new website! 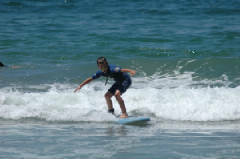 Please visit BeachSports.org to ensure you recieve the most up to date information regarding our Surf Lessons and Camps. Come visit us on your "Day Trip to Manhattan Beach" as seen in the August, 2009 edition of Sunset Magazine. Private Surf Lessons: For those interested in one-on-one personal attention to jump start their surfing experience or novice surfers looking to take their surfing to the next level. Having a beach day with the family or friends? Start if off with a few waves and a few laughs! 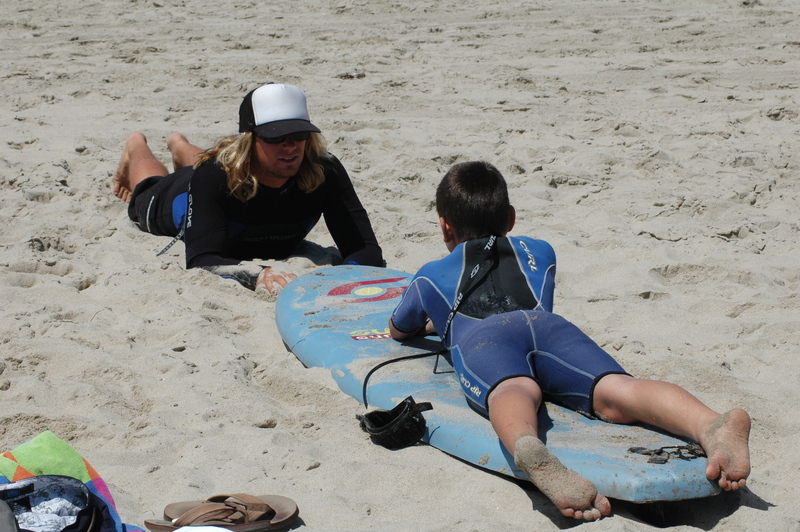 Surf Camps: Our Summer Surf Camps are great for local and visiting kids interested in spending a few days or weeks learning to surf in Manhattan Beach. 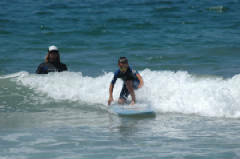 Our 1:4 Instructor to student ratio ensures quality surf instruction and safety to all participants. The only beach camp to accommodate the Jr. Lifeguard schedule! 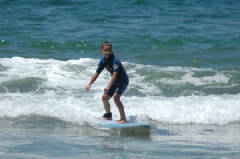 After School Surf Club: A new program offered to local 4th-8th graders craving some beach time after a long school week. 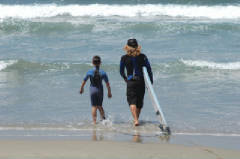 The Surf Club meet's Fridays from 3:30pm to 5:00pm and is open to surfers of all abilities. Surf instruction and equipment provided. Corporate Surf Lessons: A great and inexpensive way to entertain clients and boost employee morale. We've taught groups of up to 50. The more the merrier! Group Surf Lessons: Share your surfing experience with other beginner surfers. Group lessons offered evenings and weekends. Parties: Have a Birthday coming up? Bachelor or Bachelorette party? We will put together an awesome event you and your friends will never forget! 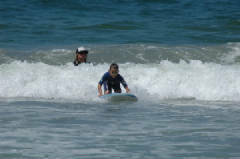 Advanced Surf Lessons: Already have a solid foundation in surfing, but ready to take it to the next level? We can get you there! Surf & Yoga: Join friends in a yoga session on the beach before you hit the waves or join us on a destination Surf & Yoga Retreat!